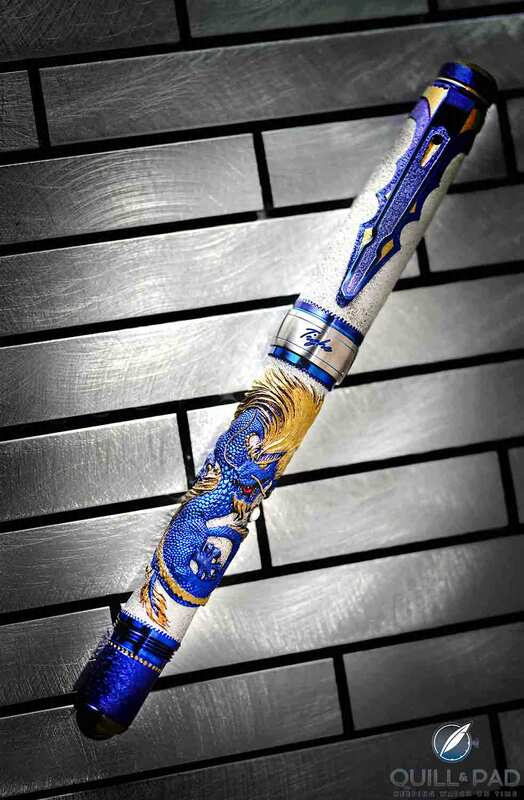 This one-of-a-kind pen by him is truly striking and remarkable. 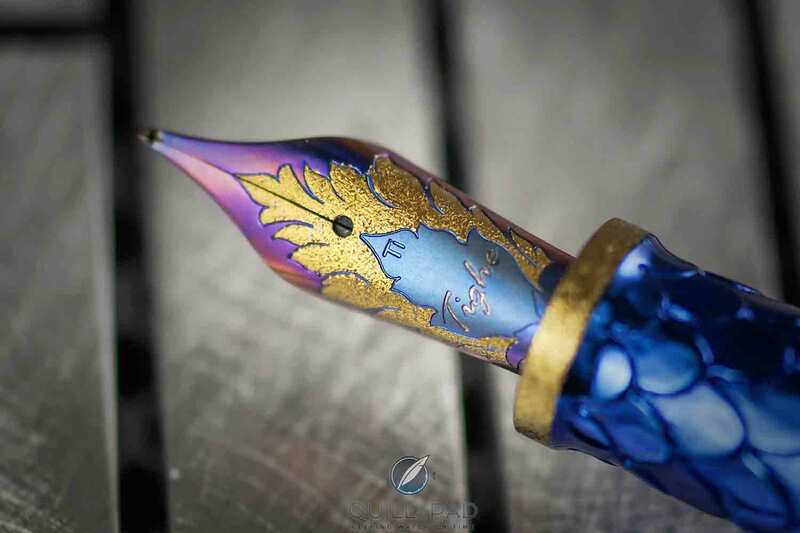 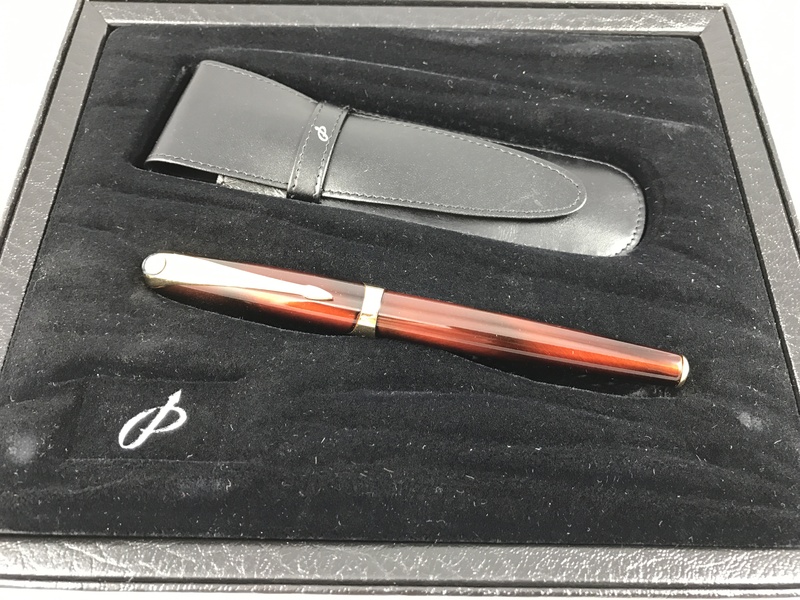 …Such was the case with Grayson Tighe’s Blue Dragon, a one-of-a-kind fountain pen created for an American collector, who wanted something with a personally meaningful theme along with some say about the overall design…. 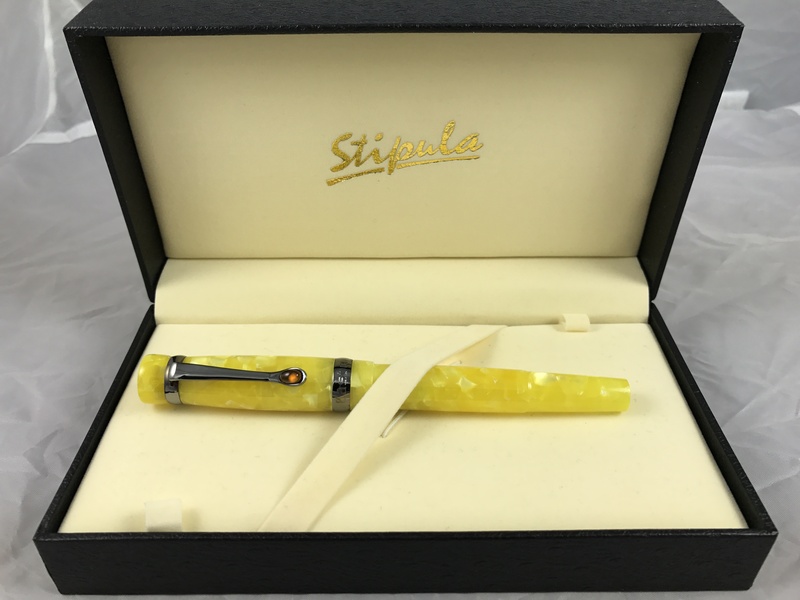 …The pen’s range of color, one of its most captivating features at first glance, is also owed to this extraordinary metal.